In a continuation of last Thursday's post and skicrazer's forum question, I offer another approach to integrating Web-based email with Windows. Windows has had a handy Default Mail Client setting for a very long time. It not only allows you to click a mailto link in your browser and go directly to your email program of choice, but it also lets you to mail a document directly from Word, an archive from WinZip, and any file from Windows Explorer. Unless you're using a Web-based mail service like Gmail or Hotmail. Then, it seems, you're out of luck. You can't enter a URL as your default mail client. In last Thursday's post, I offered some solutions that will help when you click a mailto link on a Web page. Now here's a solution that will work with everything else (and work with those mailto links, as well). The solution is a little program called Affixa. It's free, but you can get more features for an annual subscription of only ₤2 ($3.11 as I write this). Affixa installs into Windows as your default mail program and supports Gmail, Yahoo! 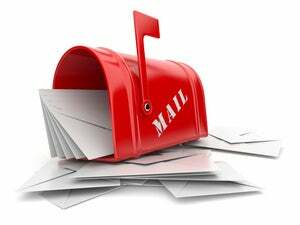 Mail, Google Apps, Zimbra and the Outlook Web App. When you tell a program that you want to mail something, Affixa redirects your request to your Web-based mail service. In Affixa's Options dialog box, click the Options tab, and uncheck Load Affixa on Startup. You don't need it running at all times. When setting up your account, click the Preferences tab, and in the 'After creating a draft message' pull-down menu, select Show in web browser. That way, your new message will come up automatically. Although Affixa works with mailto links in your browser, it's slower here than the Firefox- and Chrome-based solutions discussed last Thursday. I recommend that Firefox and Chrome users install both. The browser-based solutions will work with Web page mailto links, and Affixa will work with everything else.